Ever since man has settled down in society, there have been leaders among us to guide us through the thunderclouds and help us find our way to the sunny days. A leader is one who decides how the group duties are to be delegated towards achieving a mutually beneficial goal. 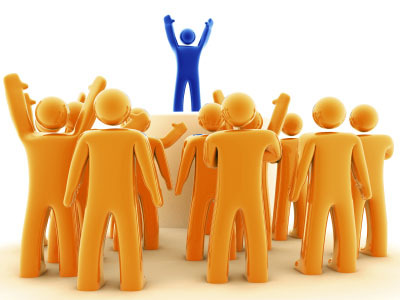 The question of the hour is what are the qualities of a great leader that set him apart from the average team member. If you’re trying to zero in on one particular leadership style or technique, don’t waste your time! Great leadership is subjective- to the time, place, people, context and situation in question. What may be desired of one leader in a situation might be precisely what another leader shouldn’t do in another situation. However, there are some common leadership traits that one can strive to achieve. A leader’s intelligence is understood to be his/ her ability to comprehend different tasks at hand and communicate how to best accomplish the same to the team. If the leader is himself unable to understand the task, how can he be expected to get the job done from others! The mark of a great team leader and manager is the ability to step back and look at the larger picture, sometimes even before it unfolds fully. It was foresight that enabled Joan of Arc to lead several military campaigns against the English at the tender age of 17. Through her ability to focus on the larger picture, she was able to end a war that had been going on for a century. Vision is one of the most important tools in a leader’s toolbox. It is what separates a leader from a manager. Basically, the two have similar and intertwined tasks and roles in a team. But while every leader is a manager, not every manager is a leader. A manager concerns himself with the “hows” and the “whats” of the game; getting work done in a timely and effective fashion. A leader on the other hand also monitors and improves the people’s attitudes, their motivation levels, and most importantly the vision of the group as a whole. There are several times when a leader is charged with the challenge of shifting between an authority figure and a friendly one. At the same time, getting too friendly with subordinates can endanger his authority and jeopardize the entire hierarchy of the group, which in turn can adversely affect the performance. Hence, a good leader must not only know when to be cordial and when to put his foot down while dealing with his followers but also the art of maintaining the fine balance between the two. Champion cyclist Lance Armstrong once said, “Pain is temporary. It may last a minute, or an hour, or a day, or a year, but eventually it will subside and something else will take its place. If I quit, however, it lasts forever.” Armstrong led his team to seven personal Tour de France victories and countless stage wins. A leader has to be consistent and unwavering in his approach. At no point can he afford to let his guard down or take things easy in a way that he might let down himself and his followers. Leadership is a highly subjective and personal ability and, to put it in a nutshell, a good leader is one who inspires his followers to give their best, whatever the situation might be. The most prominent quality of a Leader is how he communicates. In The Leader Phrase Book, we provide 3000+ ready-to-use phrases that instantly put YOU in COMMAND.